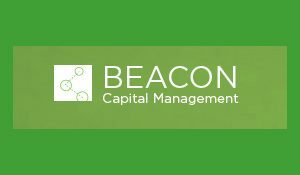 Dayton, Ohio – June 12, 2018 – Beacon Capital Management (www.BeaconInvesting.com), a registered investment advisory firm that seeks to offer long-term investors innovative portfolio management solutions, has announced a new line of investment options—Vantage 3.0 American Portfolios. This new line of portfolios is designed for increased participation in market upsides through American Funds products while adding Beacon’s loss reduction risk management strategy to help protect from catastrophic losses. Vantage 3.0 American Portfolios are the fourth line of portfolios offered by Beacon Capital Management, each model equipped with its own proprietary risk management strategy. Beacon’s Vantage 2.0 and Vantage 3.0 subscribe to equal sector allocation; however, under this approach, while losses can be limited in down years, gains may be limited in years when just a handful of sectors drive the performance of the S&P 500, such as with technology, financials and healthcare in 2017. The Vantage 3.0 American Portfolios maintain the same loss prevention protection as the original Vantage 3.0 portfolios but offer investors new domestic and international allocations through American Funds products. Vantage 3.0 American Portfolios seek to benefit from the collective knowledge of the investment committees of American Funds that back and proactively manage each of the mutual fund holdings. The Vantage 3.0 American Portfolios can also provide access to institutional rates through F-Class share funds, which can lower fund expense ratios by as much as 40% from the retail A share funds when obtaining access to the lowest cost F3 share class. Additionally, through the use of interclass exchanges, advisors who currently utilize American Funds may also have the ability to transition existing shares over to this new platform without triggering a taxable event. Beacon Capital Management is a next-generation registered investment advisory firm dedicated to fundamentally improving the science of investing for fee-based financial advisors and institutions and the clients they serve. Beacon Capital Management was founded in July 2000 with the goal of providing long-term investors innovative portfolio management solutions that work to capture gains while seeking to limit losses from today’s market volatility. In addition to investment management services, the firm seeks to empower advisors with turnkey marketing, operational and account management support. As of Q1 of 2018, Beacon’s assets under management have grown to more than $2.5 billion. For more information about Beacon Capital Management, please visit www.BeaconInvesting.com or call 866.439.9093. * Beacon Capital Management, Inc. (“BCM”) has been nominated for [and has won] several awards. BCM did not make any solicitation payments to any of the award sponsors in order to be nominated or to qualify for nomination of the award; however, a nominal application fee may be paid in some cases. It should be noted that the unaffiliated third party rankings and awards are no guarantee of future success. These awards are not an endorsement of the adviser by any client or entity. Further details about the rankings and awards can be found at each sponsors website located at https://www.inc.com/inc5000/list/2017. Additional information about Beacon Capital Management is also available on the SEC’s website at www.adviserinfo.sec.gov under CRD number 120641. Beacon Capital Management only transacts business in states where it is properly registered, notice filed or excluded or exempted from registration or notice filing requirements. Beacon Capital Management, Inc. is a registered investment adviser. Information presented is for educational purposes only and does not intend to make an offer or solicitation for the sale or purchase of any specific securities, investments or investment strategies. Though Beacon’s loss reduction risk management strategy is designed to reduce loss, it does not eliminate the potential for loss and there are no guarantees that a loss will not be incurred. All investments involve risk and unless otherwise stated, are not guaranteed. Past performance is not indicative of future performance.